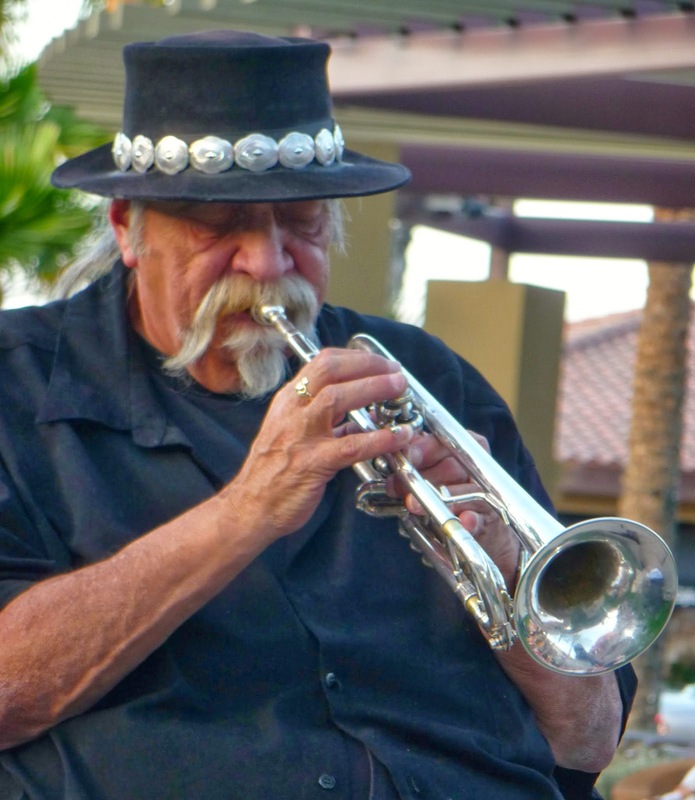 On Saturday March 15th the music Series at The Gardens at El Paso featured Trumpet great, Steve Madaio and 3 wonderful musicians. The concert was a benefit for the California Visiting Nurse Association and was sponsored by Bruno Le May, D.M.D., Sullivans, Pacifica and Anderhout Whittaker. The setting was beautiful, the weather was perfect and Steve presented an evening of some of the best love songs ever written to everyone's delight in the standing room only audience. 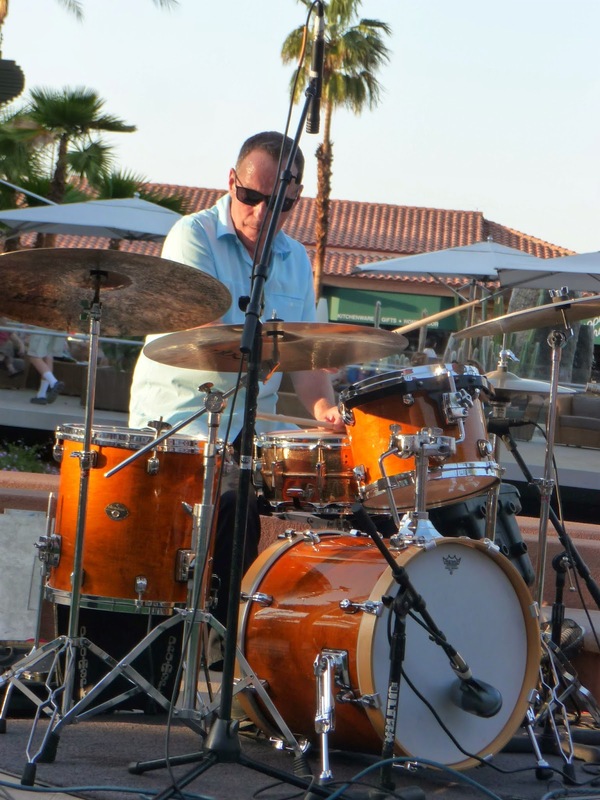 Steve Madaio is know to all music lovers here in the Valley and has played and toured with some of the greatest rock and roll bands in American history including Earth Wind and Fire, Stevie Wonder and the Rolling Stones. But tonight the spotlight was not on rock and roll but rather on some of the most romantic ballads ever written. Steve is one of only a few musicians that can project the emotion of a song and its lyric using a Trumpet! Tonight the audience heard Steve at his very best, playing ballets like "Over the Rainbow" and "The Days of Wine and Roses" to name a few of the wonderful songs on the program. Joining Steve tonight were 3 of my personal favorite musicians, Yarek Urant on Keyboard, Bill Saitta on Bass and Jay Lewis on Drums. Yarek Urant is always a treat to hear. 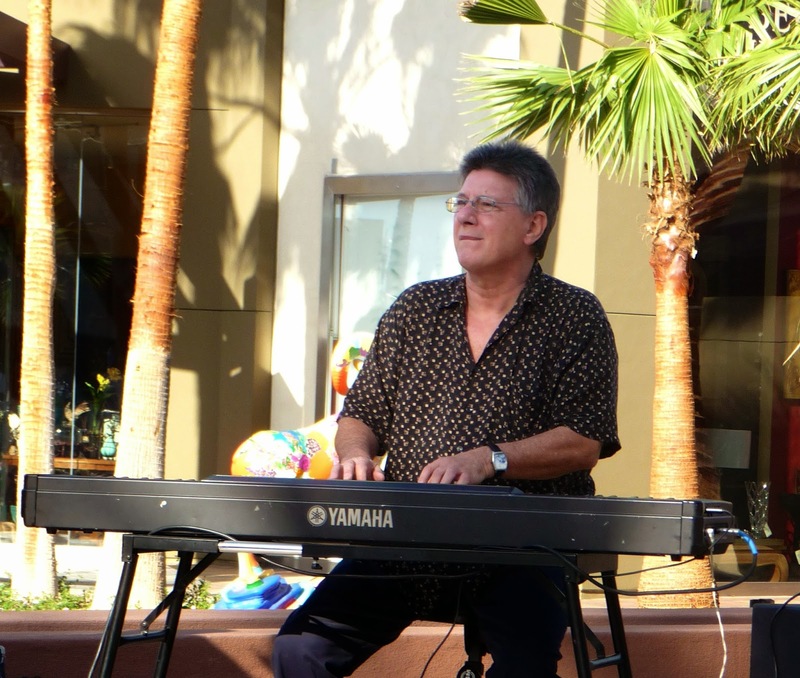 He plays keyboard in a different style than any other piano player in the Valley. When he plays a ballad you can feel the emotion flowing out of his Keyboard. I think ballads are his sweet spot. 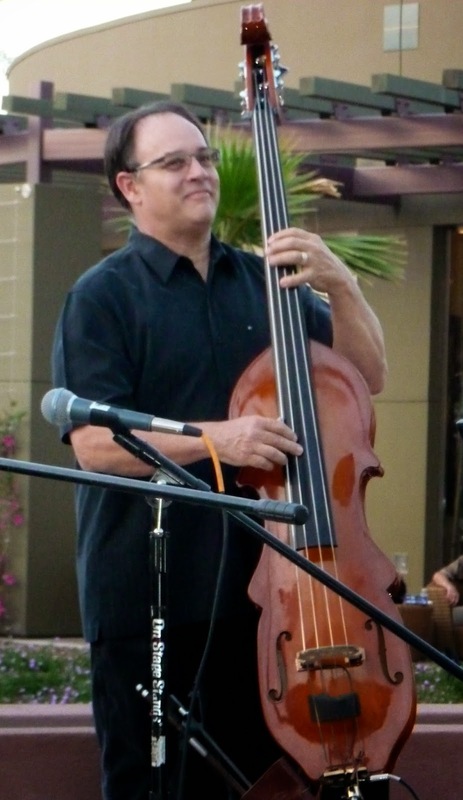 Bill Saitta also well know to all music lovers in the Valley seems to reach new levels of mastery of the Bass every time he performs. Bill is not a casual musician. 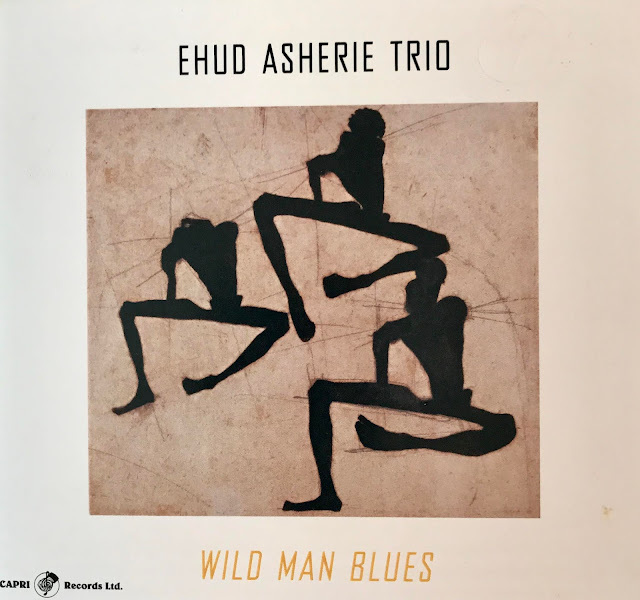 He is a musician that is totally committed to breaking new ground in his playing performance, and the results have made him a pleasure to hear. On Drums tonight was Jay Lewis one of the best drummers performing in the Desert. Jay plays with soft hands and provided the foundation for the group tonight that lifted the music to new heights! The great Canadian Flute and Sax player, Tom Keenlyside was a very special guest tonight. Tom may be Canadian but he has been officially claimed by all the American Jazz lovers in the Desert. Tom and Steve are close friends and recently recorded a new CD, "Slices" that is experiencing tremendous success. All and all it was a great concert under the stars that provided great sounds and supported a very worthy cause! Rose Mallett has had a full schedule of performances this winter, but I had not seen her until Thursday night when I went to Escena Lounge and Grill inside the beautiful Escena Golf Club. 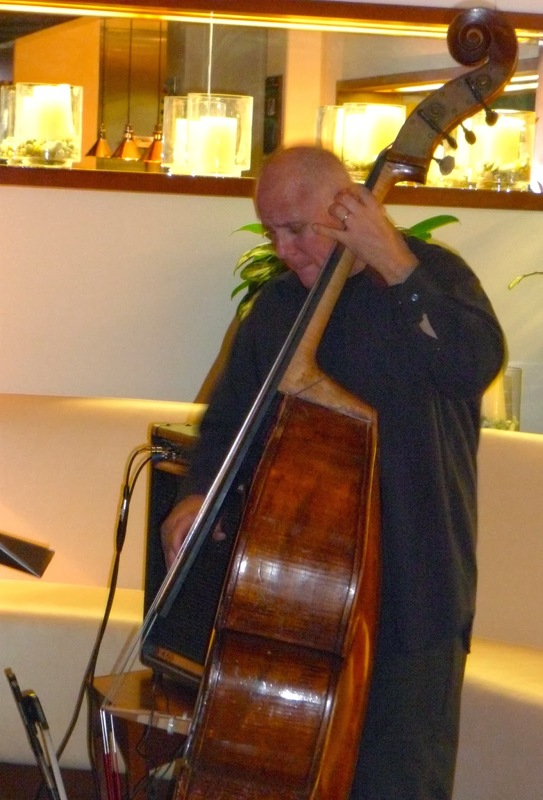 The Escena Lounge and Grill is a wonderful place to enjoy great food and listen to some of the wonderful sounds of Jazz provided by Rose and fellow musicians, Barry McClure and Danny Flahive. Rose Mallett has a wonderful Sarah Vaughn-like lush voice that when combined with her 3 1/2 octave range, puts even the most casual Jazz listener in outer space. 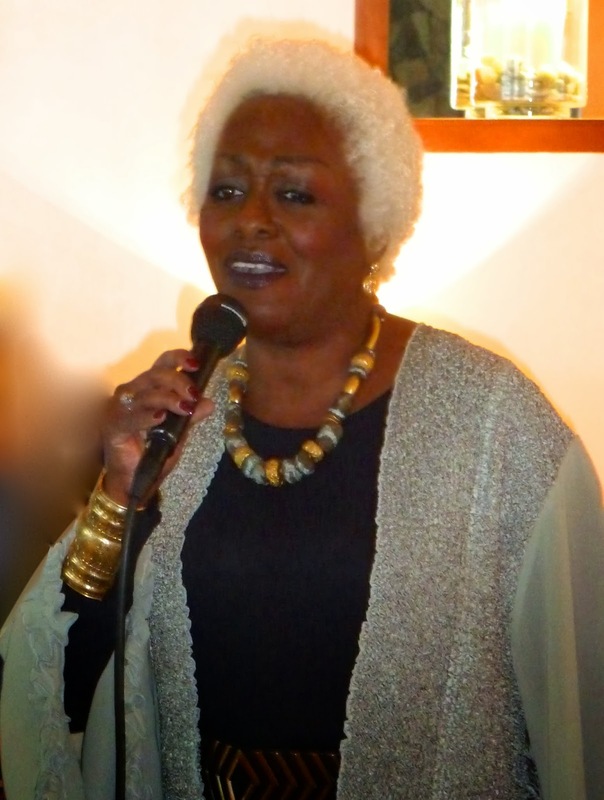 In my opinion in the short period has been singing in the Desert she has become one of our best Jazz singers. She approaches her songs without fear and applies her own Jazz interpretation bringing new life to the many great standards she sings. Rose is a perfectionist and it's no surprise that she has chosen two of the best side-men in the Valley to support her performance. 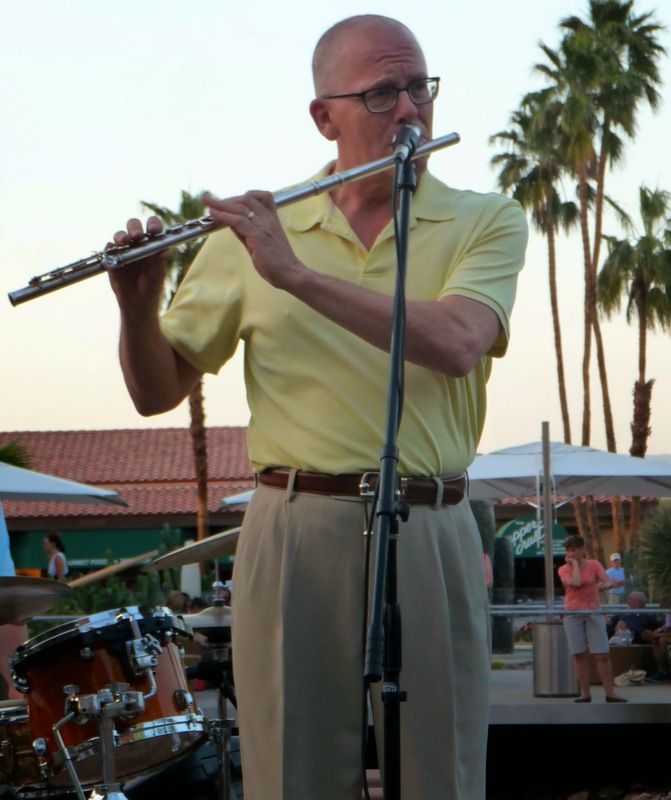 Barney McClure has taken the Desert Jazz scene by storm this winter playing gigs almost every night. Barney is a wonderful personality and a great pianist. I was surprised to learn that he is self-taught on the keyboard and did not start playing keyboard until he was seventeen. Any singer would love to have him playing for them! On stand-up Bass is everyone's favorite Bass player, Danny Flahive. Just like Barney, Danny is in great demand and performs almost every night. Danny has his own unique approach to playing Bass, and his solos are well constructed and beautifully played. When you combine these three mega-talents together, the resulting sounds are a beautiful thing to hear. Rose performs at Escena on most Thursdays but you should call first to make sure she is performing. She also is performing at many other venues including Woody's in Palm Springs. She is scheduled to appear at Woody's on Fridays, March 7, 14 and 21. You might also check out her site to see her full schedule.